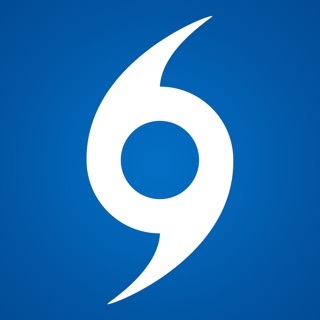 RadarScope is a specialized display utility for weather enthusiasts and meteorologists that allows you view NEXRAD Level 3 and Super-Resolution radar data along with Tornado, Severe Thunderstorm, Flash Flood and Special Marine Warnings, and predicted storm tracks issued by the US National Weather Service. It can display the latest reflectivity, velocity, dual-polarization, and other products from any NEXRAD or TDWR radar site in the United States, Guam, Puerto Rico, Korea, and Okinawa, as well as reflectivity and velocity data from Environment Canada radars. These aren't smoothed PNG or GIF images, this is native radar data rendered in its original radial format for a high level of detail. Whether you are scanning reflectivity for a mesocyclone's tell-tale hook echo, trying to pinpoint the landfall of a hurricane's eye wall, or looking for small features like velocity couplets in the storm relative radial velocity product, RadarScope gives you the power to view true radial NEXRAD weather radar on your iOS device and Apple Watch. When there are any Tornado Warnings (outlined in RED), Severe Thunderstorm Warnings (YELLOW polygons), Flash Flood Warnings (GREEN polygons), or Special Marine Warnings (ORANGE polygons) in effect throughout the US, tap the warning button in the top right corner to browse the list of current warnings, view the details, and even zoom to the selected warning on the map. Pinch or stretch to zoom in and out. Drag your finger around the map to scroll. Tap the radar sweep button in the toolbar to switch radars. Select one of the 156 different NEXRAD radar sites and 45 Terminal Doppler radars in the US, 30 other radar sites in Canada, and 2 in the Republic of Korea. Plot your current location by tapping the location button and optionally report it to the Spotter Network. Tap the play button to download and animate over recent images. Display the names of over 25,000 cities and towns on the map as you zoom and scroll. Tap and hold the color legend to see the data values. Meanwhile, RadarScope will retrieve and display updated data automatically and intelligently (approximately every 2 to 10 minutes, depending on the radar scan strategy). You can display data from NOAA's public access web site, our optional WDT feed (the default), or your AllisonHouse subscriber account. Spotter Network members can report their location and view the locations of other spotters. The RadarScope Pro subscription is an optional auto-renewing subscription with two different tiers to choose from. Super-res products are still available to all RadarScope users without purchasing a subscription. RadarScope Pro Tier 1 is an annual subscription that provides access to real-time lightning data that animates along with the radar loop and up to 30 frames of radar data, including extended loops of Super-Res Level 2 data. Tier 1 subscribers can also access a data interrogation tool to quickly determine data values for specific radar pixels and an optional dual-pane mode for viewing two radar products side-by-side. RadarScope Pro Tier 2 is an annual or monthly subscription that combines all the features in Tier 1 with more advanced features, including SPC outlooks, local storm reports, a 30-day archive of all radar products, estimated hail size contours, rotation (azimuthal shear) contours, and the ability to use subscription features across multiple platforms. RadarScope Pro subscriptions are charged to your App Store account. It will be auto-renewed within 24 hours prior to the end of the current period at the same price you originally paid. Subscriptions may be managed and auto-renewal disabled via your iTunes Account Settings after the purchase. Once purchased, the subscription cannot be cancelled during the active subscription period. Fixed a bug that sometimes prevented automatic data refresh. THIS APP IS FOR WEATHER PROFESSIONALS! READ THE DESCRIPTION BEFORE YOU BUY! I capitalized those sentences because there are reviews that don't belong to a great app like this. For example, in one review this was said: "It allows you to pick a radar site in a state and when you do it's just for that area that the radar reaches out to." Well, Duh?! That's how Doppler Radar works. If you read the description, it says this: "It can display the latest...from any NEXRAD or TDWR radar site in the U.S." Notice it says SITE, not SITES, with an S. There are also complaints of the app being too expensive. Well professional doesn't come cheap in case you didn't know. Where are you going to find a radar app that gives reflectivity, velocity, dual-polarization, VIL all for free? Nowhere. Plus it updates at 2 minute intervals, and it's all raw data. Where are you going to find that for free? People have to earn a few bucks in order to produce an app like this. And I believe $100 bucks a year, is fair enough. This is a gorgeous, easy to use and master weather app. If you want to know wind speeds in a thunderstorm, the percentage of hail in a storm, where the storm is heading, this is the app for you! You have to have knowledge of weather/radars in order to know how they work, but this app is certainly the very best out of all the weather apps. 5/5 and highly recommend to any weather geek! The other reviewers are right-- this is the best radar and well worth the cost. I had purchased several others and put off this one because of the price. The other apps disappointed-- they have been inaccurate or slow to update. This one is precise and quick--so far is has never been more than a minute or two before it updates and most often it is up to the moment. And the accuracy has been brilliant. It has many features that I have not yet used, but i hope to learn them soon. I'm a weather novice, but I definitely want to know where the storms are, where they're going, and how much rain we'll get. 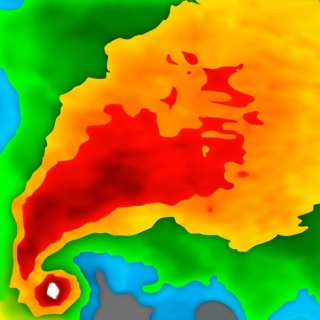 This is the best radar by far! Update: the developer keeps refining an already brilliant application. This is THE radar application, far superior to any other out there. Absolutely one of the best purchases I've ever made for my iOS devices—beautiful on the iPad, crucial app on the phone, and a very informative glance at the radar on the watch. I bought the upgraded pro version and like the additional features: longer loops and lightening info. As with the basic version of this app, the cost is there but well worth it: this radar and all the features are the some of the best things on my phone. One of the top apps of any kind and one I will subscribe to without hesitation every year. Do you like a national map that allows you to be able to locate local and long range storms? Do you like having high definition map overlays that allow you to locate exactly where the action is happening and heading? Do you want to have a weather app that is easy to navigate? Unfortunately this app fails on everything. What it does do well is charge 10 dollars to download the basic functions. If your disappointed by the basic application and interested and or already invested in the initial 10 dollars the next 10 dollars to get tier 1 access seems like an appropriate next step. Once you get yourself into the 20 dollar range of access you realize that it still is terrible and the next option to get the holy grail of weather apps is the PRO tier 2. It's only 100 dollars in addition to the 10 dollar app download fee. Also anytime you download the application regardless of level... your also agreeing to a contract that automatically deducts money from your account on a yearly basis. This weather application is the best...for it's investors. 2017 © Weather Decision Technologies, Inc.